Our festive down takes place this year from 1pm Friday 21st December 2018 to 7am Monday 7th January 2019. Deliveries will resume Monday 7th January 2019. 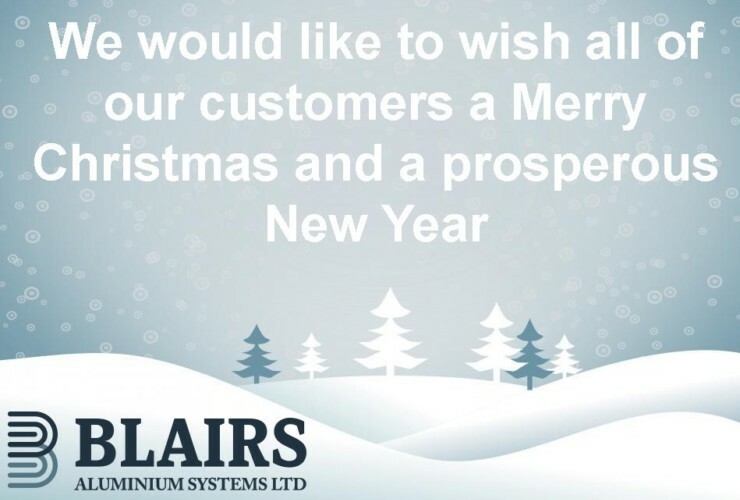 Blairs Aluminium Systems Ltd would like to wish all of our customers a very Merry Christmas and a prosperous New Year.